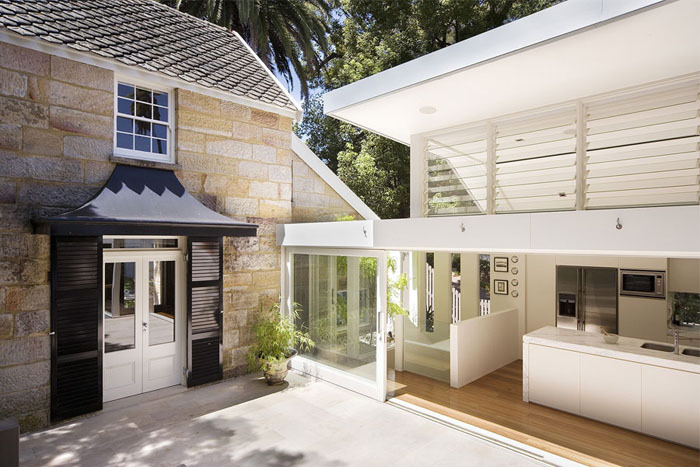 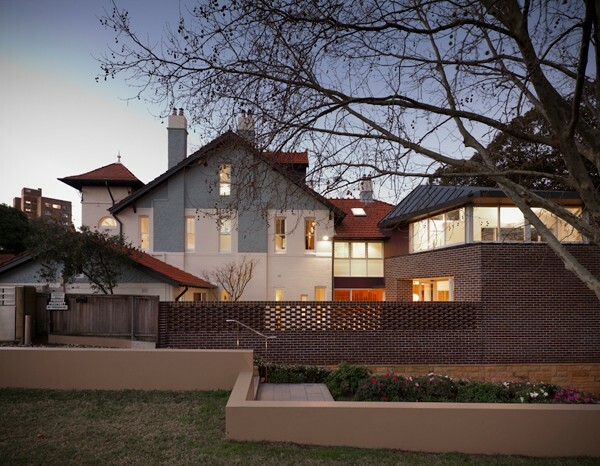 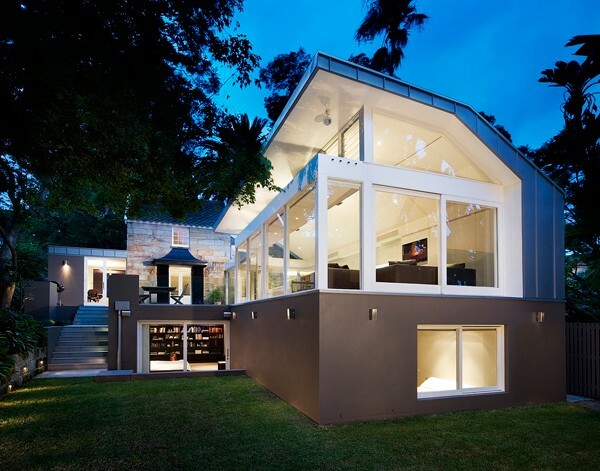 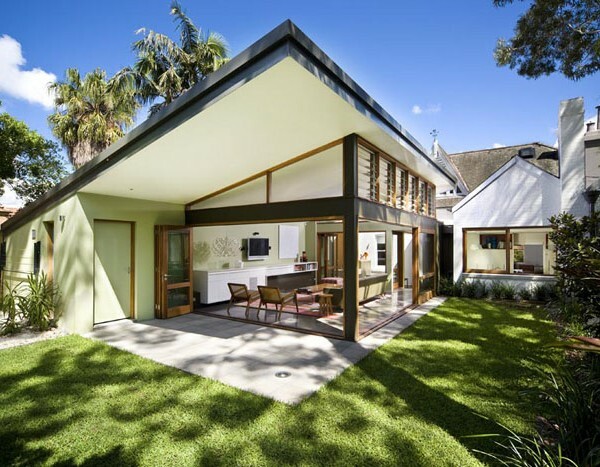 The brief for the Hunters Hill House required the renovation of an existing heritage listed sandstone cottage. 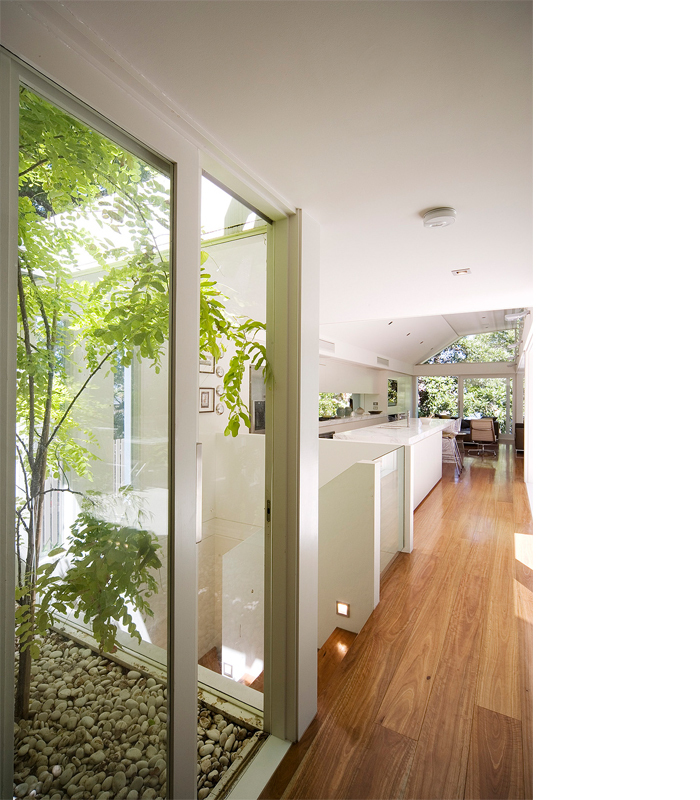 The renovation includes substantial additions in order to create a contemporary, light filled and generous family home. 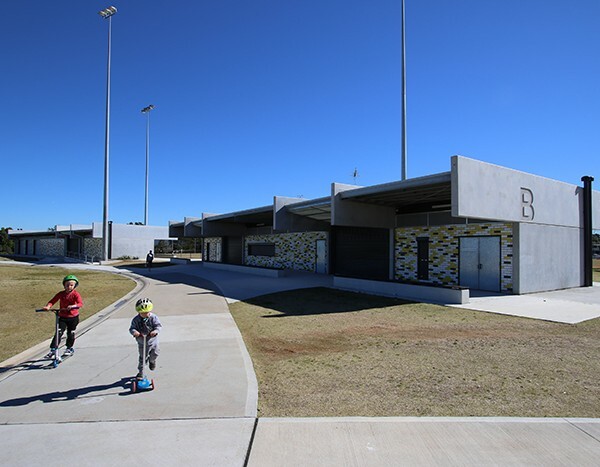 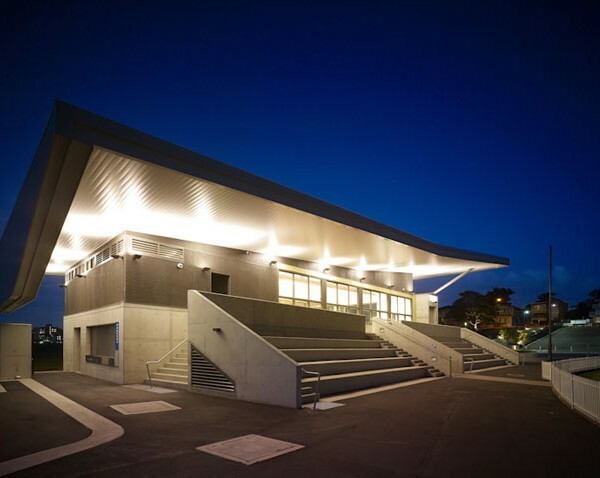 The new building includes a lightweight framed living zone which has a tapered zinc clad roof. 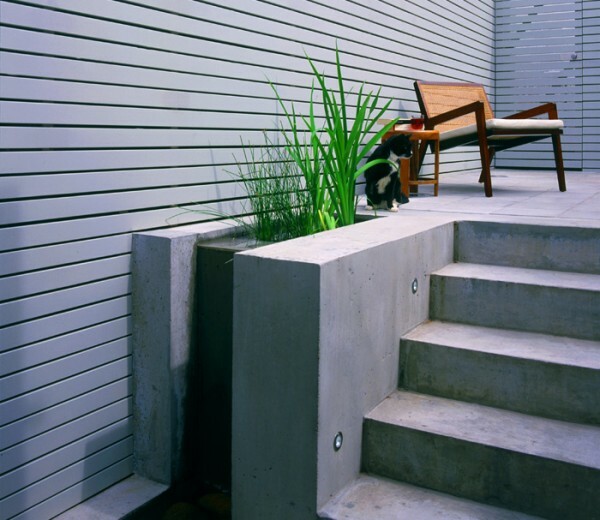 This dynamic form rests on a solid masonry base that houses the sleeping areas. 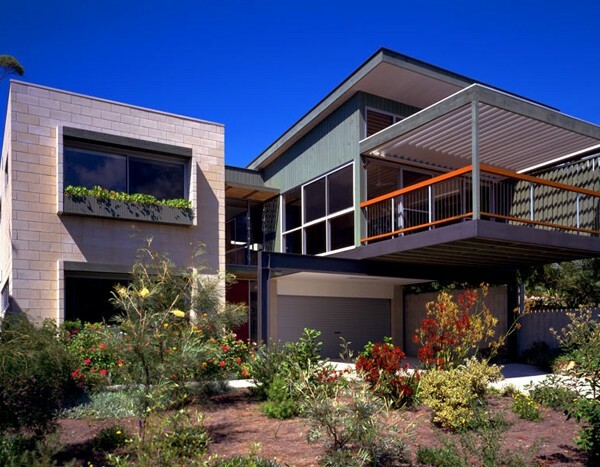 The form of this solid base draws its cue from the existing heavy sandstone structure and acts as an interface between the cottage and the garden at the lower part of the site. 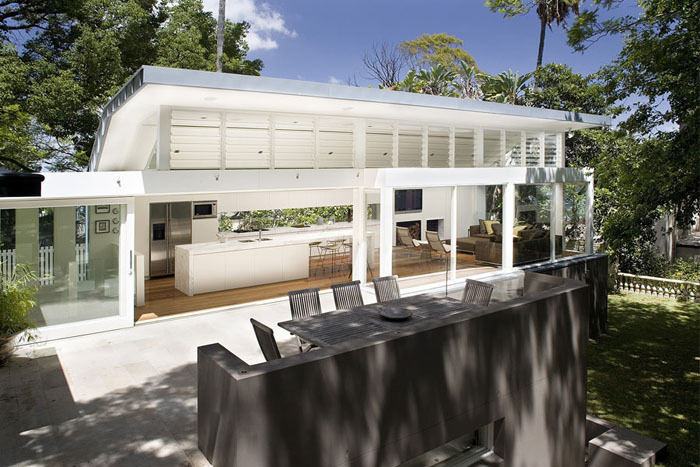 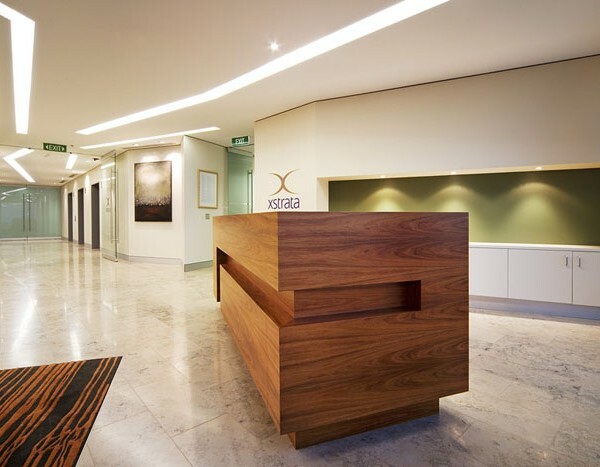 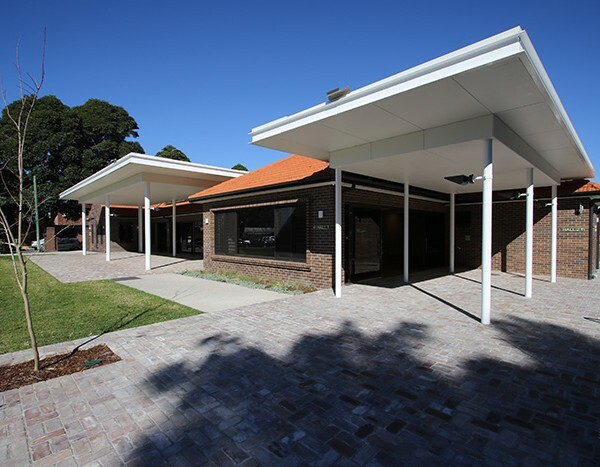 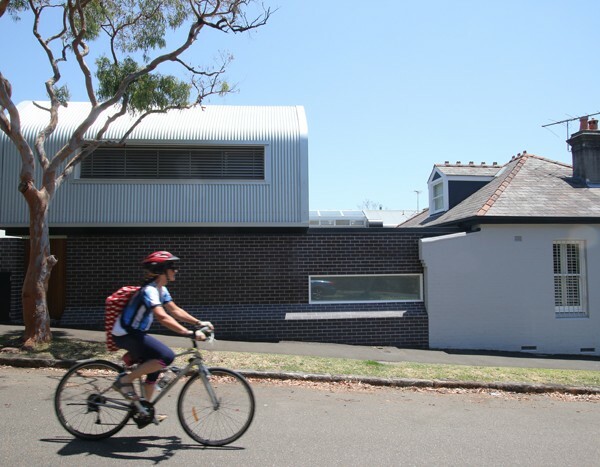 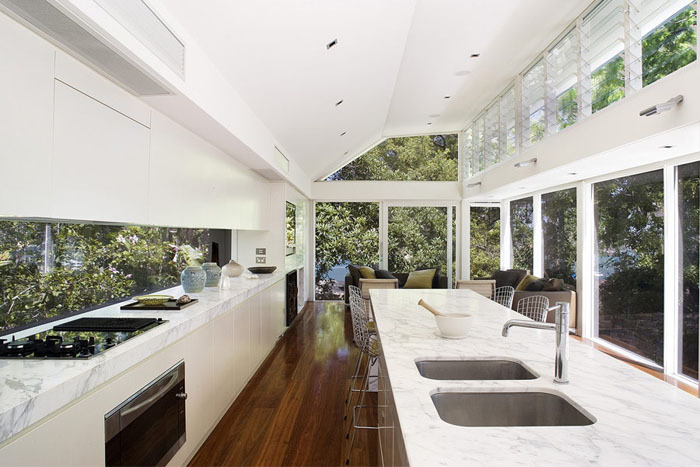 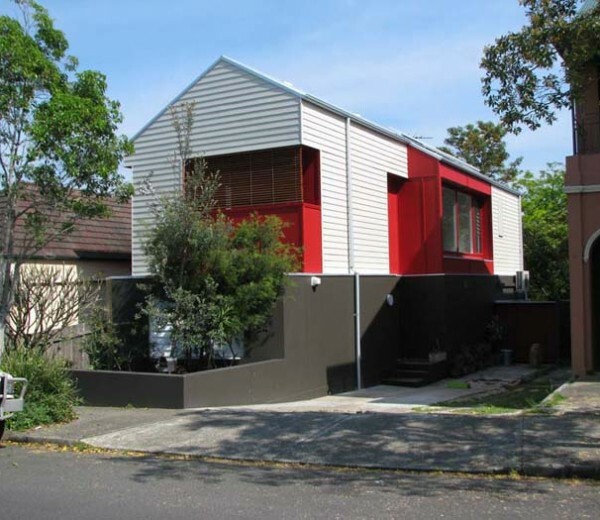 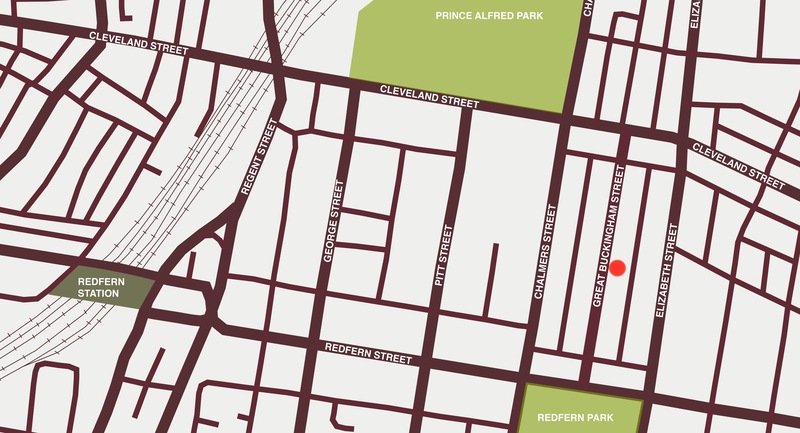 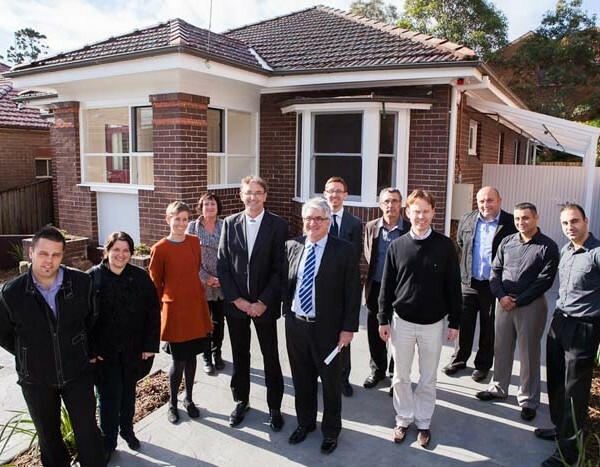 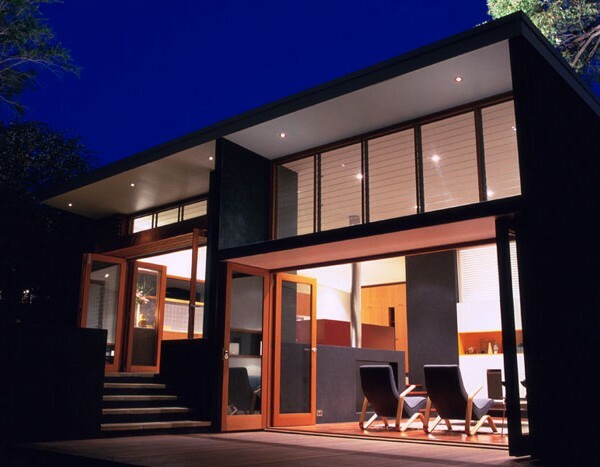 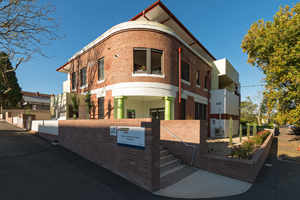 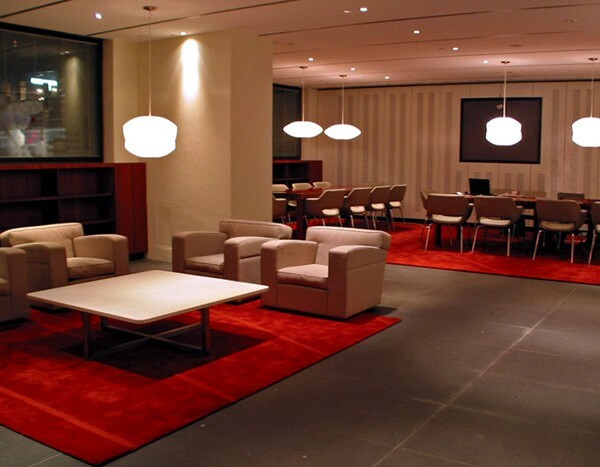 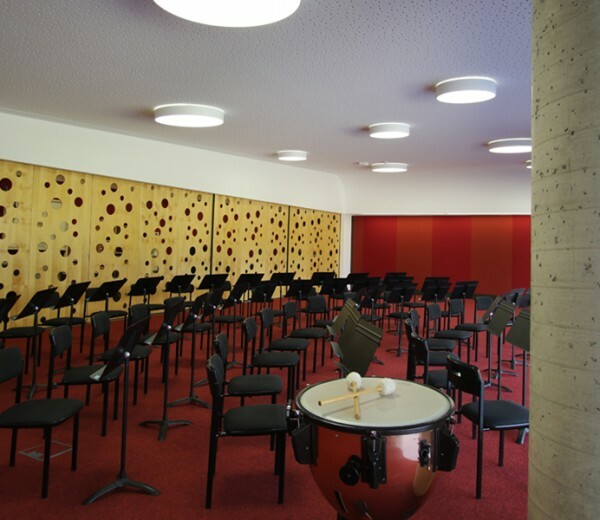 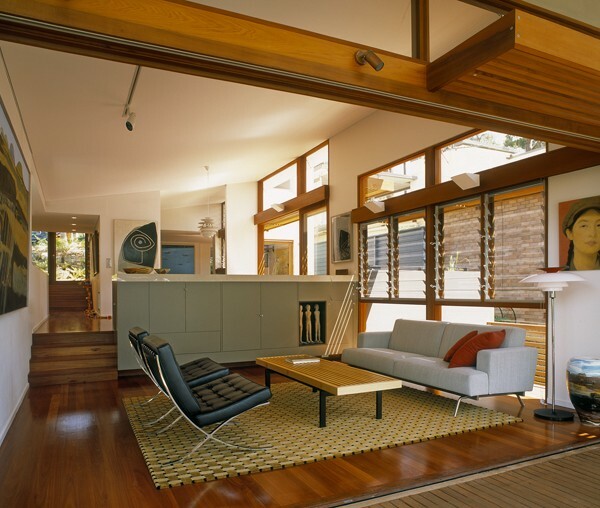 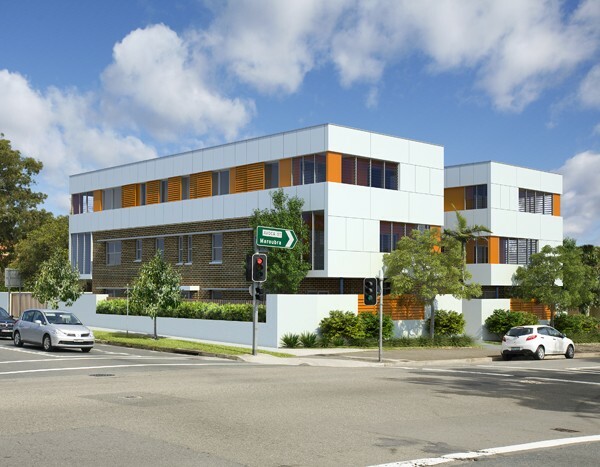 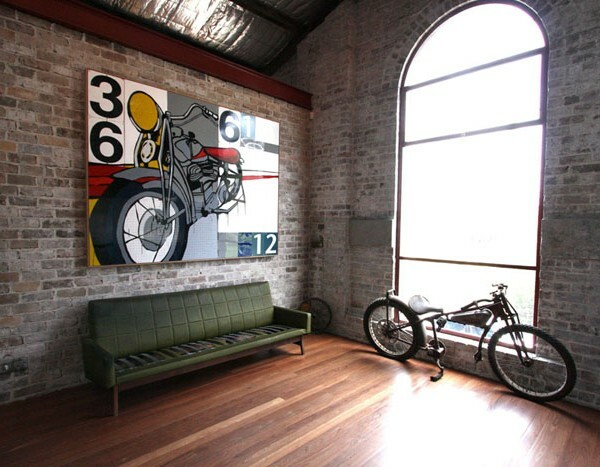 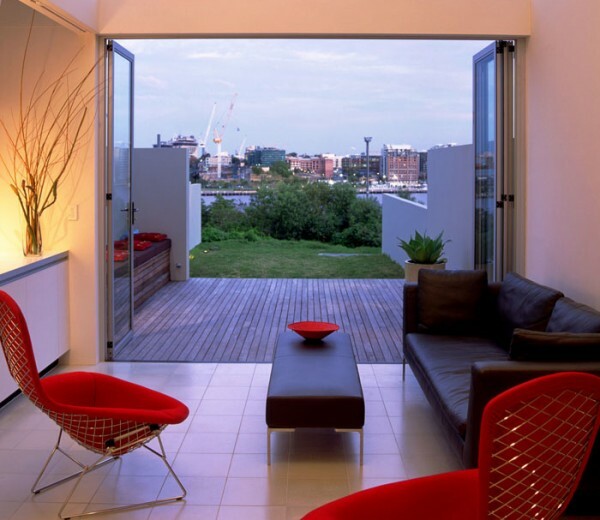 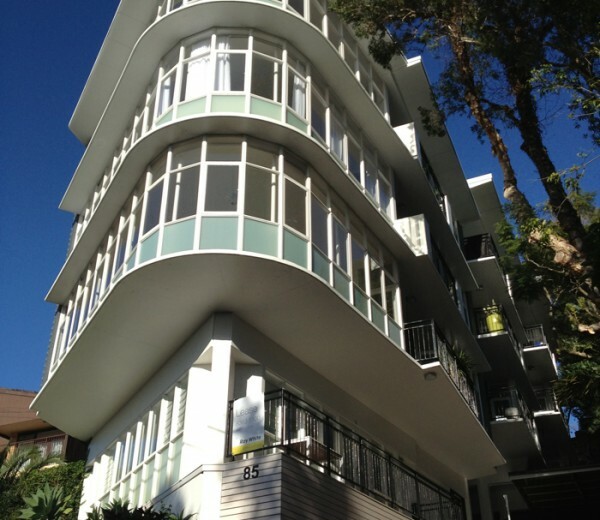 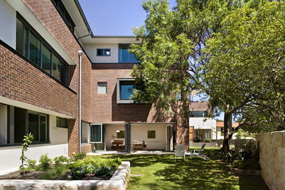 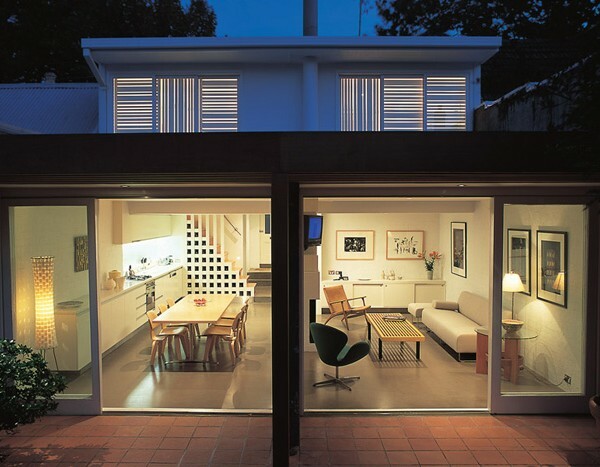 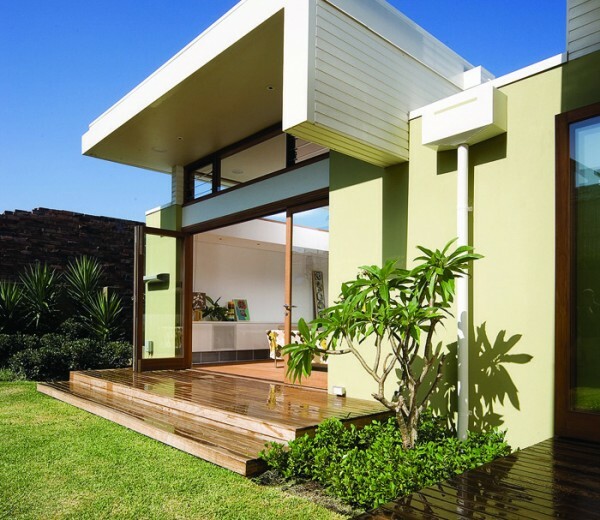 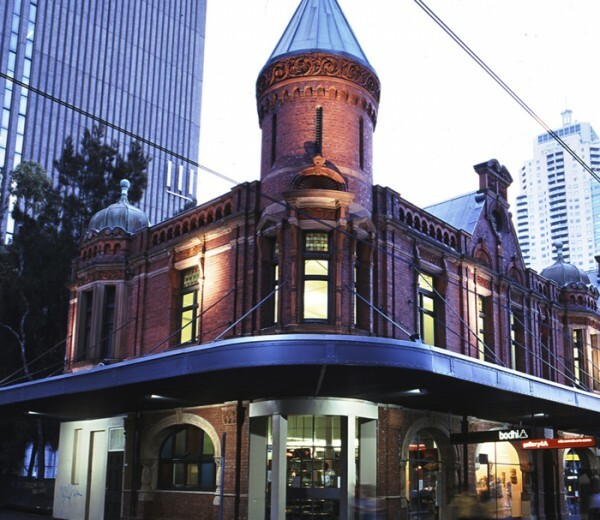 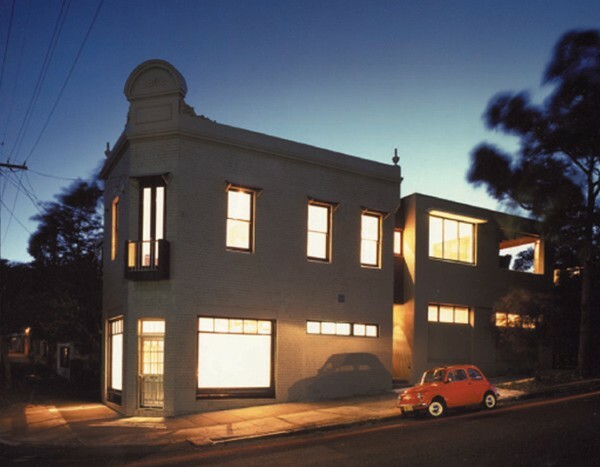 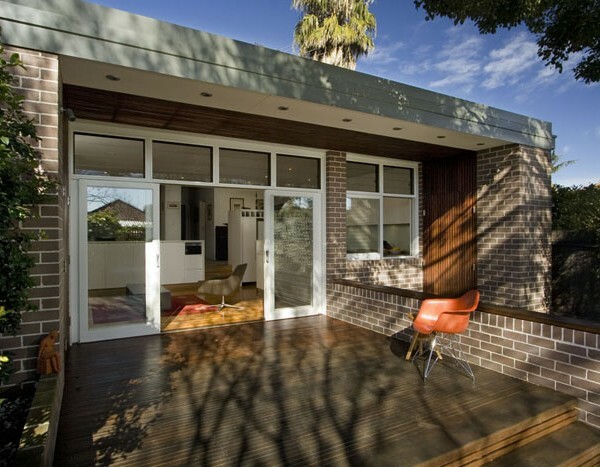 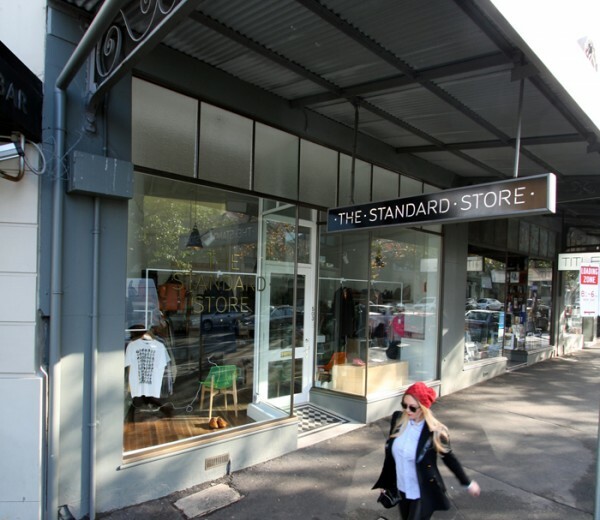 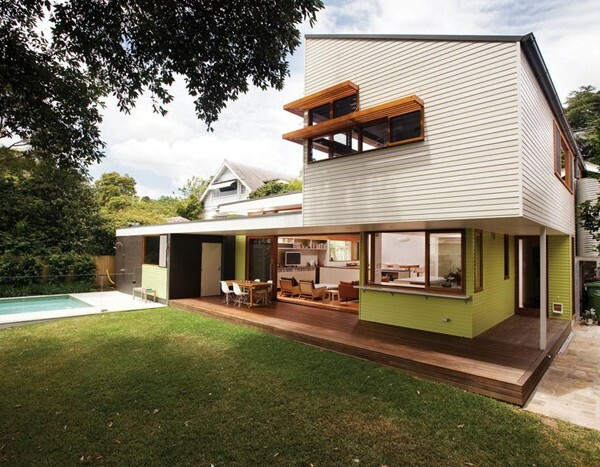 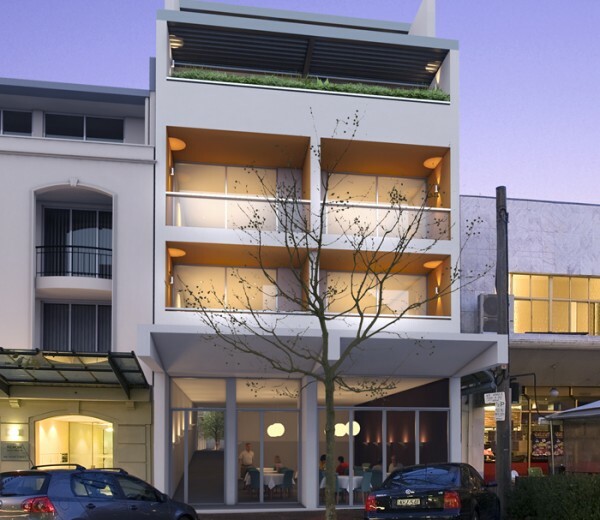 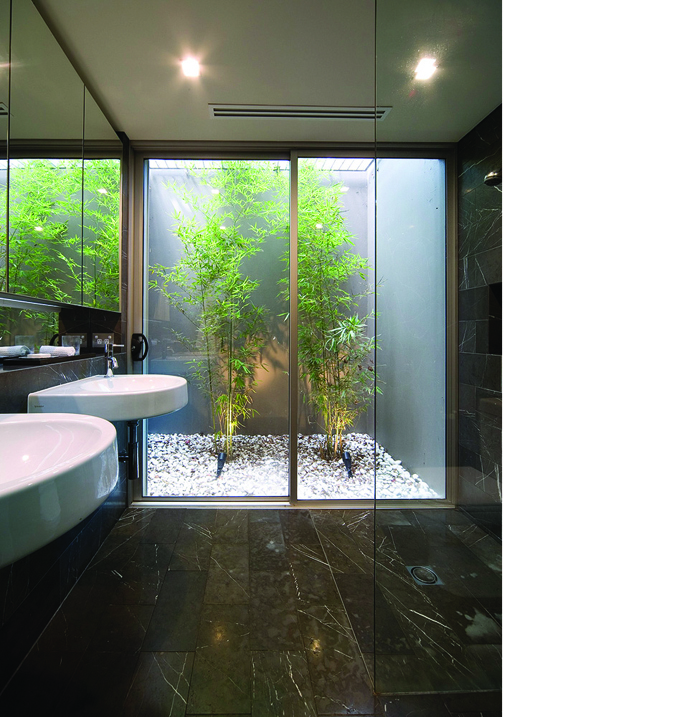 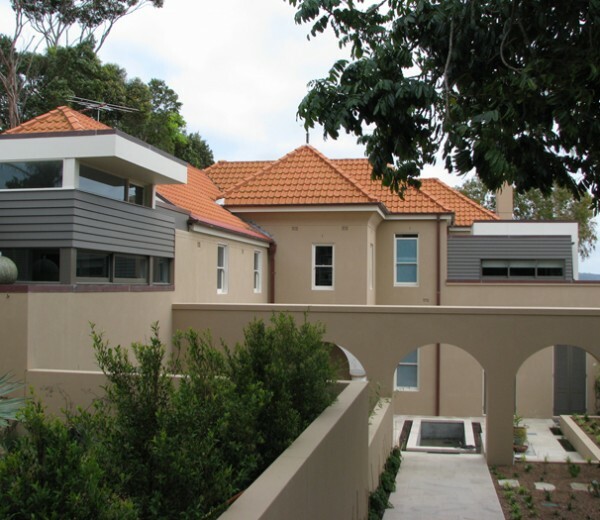 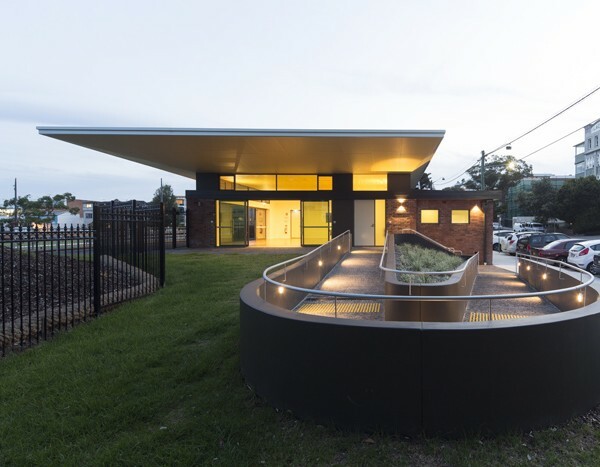 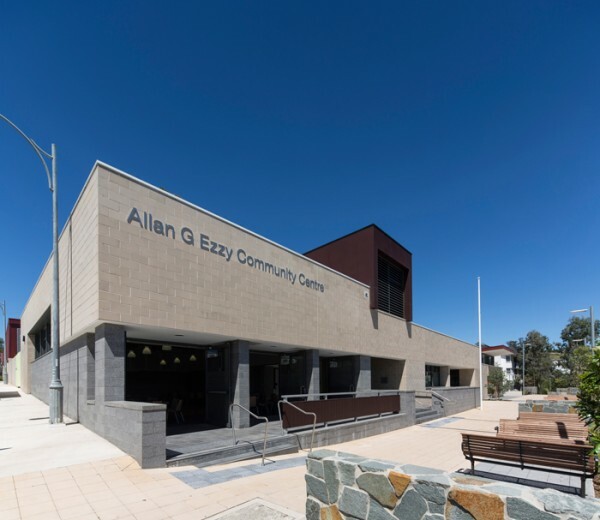 2006 Winner – Built Environment Category, Good Design Awards, Hunters Hill Council. 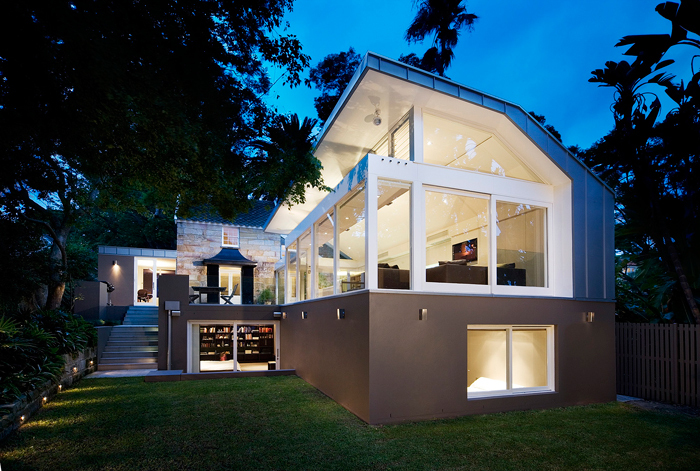 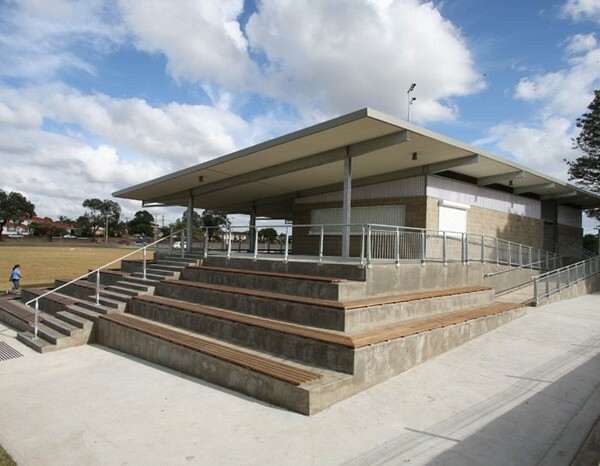 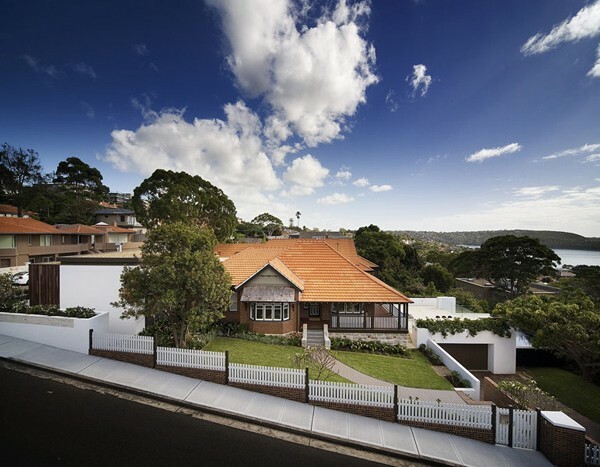 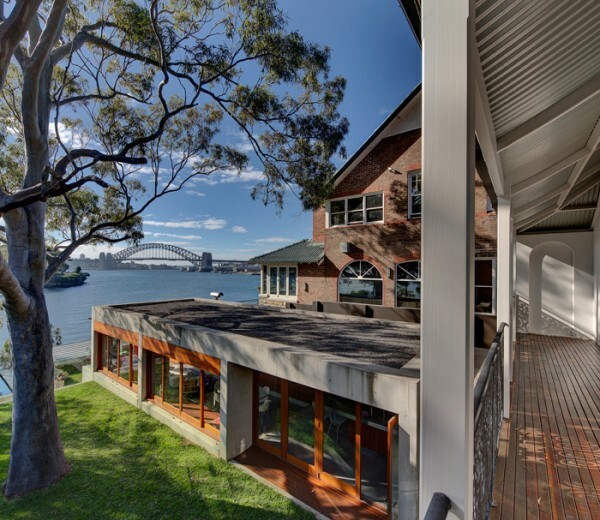 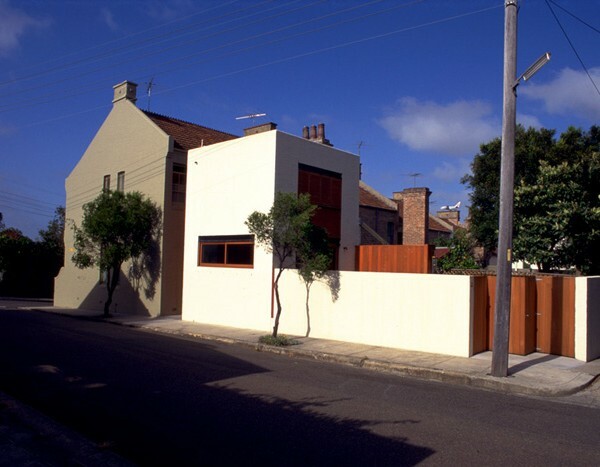 2006 Commendation – Heritage Category, Good Design Awards, Hunters Hill Council.